Alja the Writer’s 2014 Year in Review! I know. I’m a terrible person who hasn’t written on this blog for months — after making a solemn oath to be better. Sigh. Well, at least I’m writing today! That should count for something, right? Things have been really busy — both in real life and in my head, but that’s still no excuse for being inconsistent. So what if my bed seems like the best thing in the world to dive into after a day at the office?! I should still make time to write! Especially if it’s what I want to do. But for the record, there is an upside to being busy (and unabashedly wrapped up in my comforter) and I shall tell you all about it. So remember last time when I talked about how Twitter got me a chance to video chat with Silas Weir Mitchell of Grimm (SQUEALS – highlight of my life) and score some sweet goods from Da Vinci’s Demons? Yeah, so I’ve basically become a bit more vocal on Twitter. OK, A LOT more vocal on Twitter. In part because started watching a lot more TV (which can be attributed to my new job), mostly because there a lot of good shows out this year. ANYWAY, I say all of that to say that I’ve been live tweeting and my tweets are actually being heard… well, read. I got me a few more shining moments that I can’t help but be proud of, even if they’re pretty small. 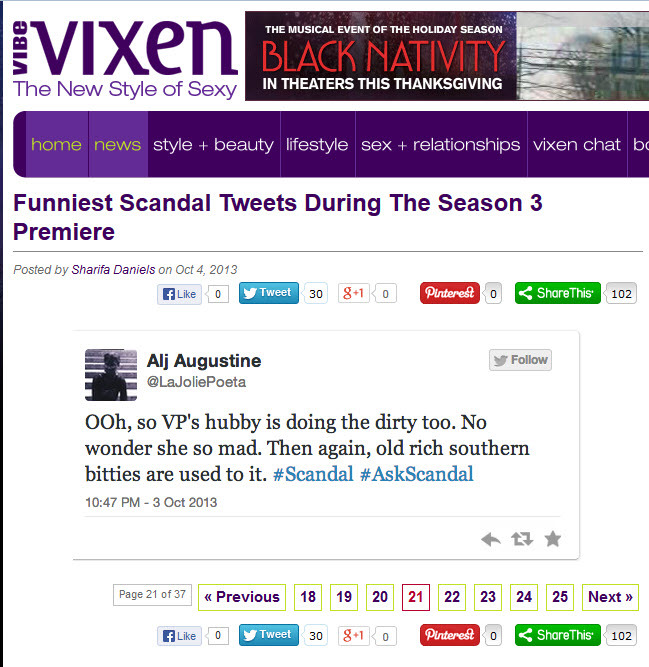 First, I got a shout out from the digital mag, Vibe Vixen, for one of my tweets during the Scandal Season 3 premiere. Yup, that happened. But that wasn’t all. 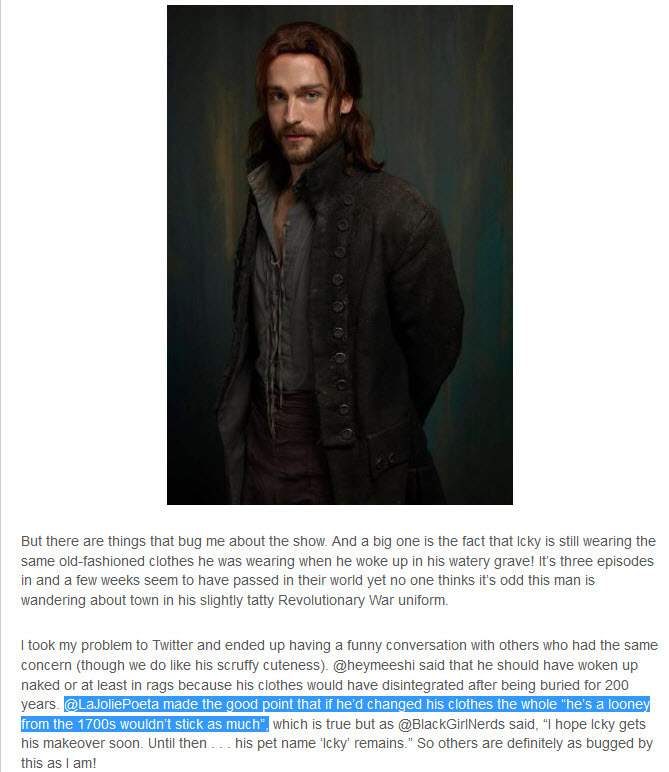 Next up, my tweets with fellow Sleepy Hollow fans about Ichabod Crane’s fashion sense landed on the web edition of the South African magazine You. Yeah, the highlighted portion right? That’s me. If you can’t make out what I said, then I suggest you go read the article. It’s a pretty fun read and well, I’m mentioned in it. And of course with the return of Grimm, my fangirl live tweeting returned. 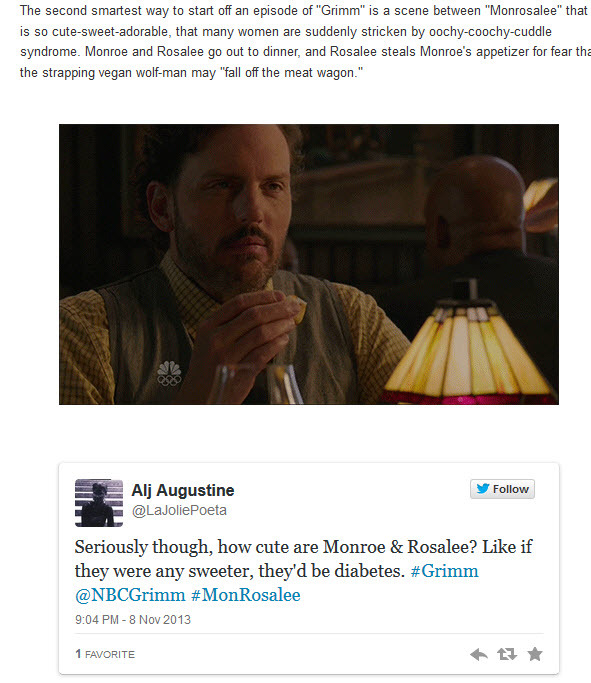 That being said, I did land a couple re-tweets from the Grimm Twitter handle (score!) 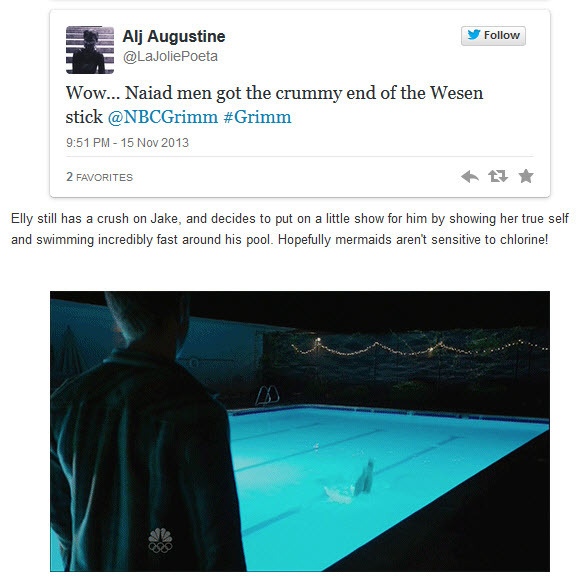 and a couple of my tweets have been featured in the awesome gif-infused Grimm recaps at the blog, Random Musings from the Kristen Head. Of course, there are other perks to having my tweets being read, including gaining more followers. While my follower count hasn’t necessarily spiked to extremes, I’ve come to meet a few new people… which leads me to what I mentioned earlier. So in addition to being vocal on Twitter for the purposes of TV, I’m also on Twitter more thanks to finding the mothership in the website, Black Girl Nerds. Yes. You read that correctly. 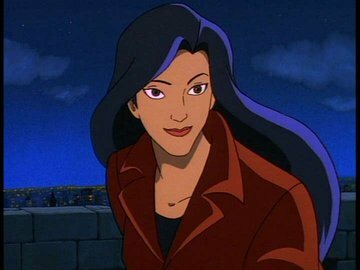 There I learned that the word “blerd” (aka black nerd) was actually a thing (like seriously, why didn’t people tell me about that when I was growing up?!) and that it was OK to be one. *side note*: I have to admit, after the last podcast about ‘blerds’ I don’t know if I’m a full-blooded “blerd” or just skating on the surface, but I digress. Anywho, it opened up my eyes to a gamut of nerdom I didn’t know exist and the scores of people who share the same intense feelings I have towards numerous things that I will omit for now because… well, I want to. Essentially, what I’m saying is that I’ve found a vast group of like-minded people and it’s AWESOME. Quite honestly, they make my day go by with random Twitter conversations on everything from Hall & Oates to cartoon theme songs. Happy sigh. Before, when I live tweeted a show, I thought I was alone. Now, I can have full-on conversations with other individuals who are going through the motion with me and when they like what I say, they re-tweet, and it’s amplified in the Twittersphere. Lovely! 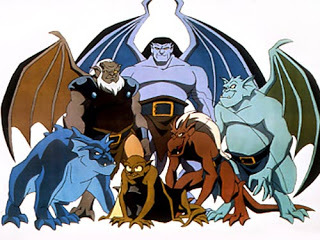 Not only am I building some sort of an awareness of myself online, but I’ve found a group of (should I dare say it?) friends. Tear. 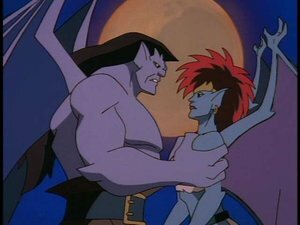 Yikes, I forgot how pasty he was in that video… but you get the point. Oh, and if I don’t write something new, feel free to like hit me up on Twitter and get in my face about it because sometimes I really do need a swift kick.